WASHINGTON, DC (MARCH 27, 2017) – (RealEstateRama) — The Solar Energy Industries Association (SEIA) is hosting its Women’s Empowerment East Coast Summit on April 6 in Washington, D.C. Started last year, SEIA’s Women’s Empowerment Series aims to educate, connect, and provide thought leadership for and from women in the solar industry. According to the National Solar Jobs Census 2016, the percentage of women working in the U.S. solar industry is rapidly increasing. Last year, the solar industry created one out of every 50 new jobs in the U.S. and remains committed to the growth of a diverse workforce. In 2016, SEIA hosted its inaugural Women’s Empowerment Conference in D.C. to great industry response. Following that popular event, SEIA held two more Women’s Empowerment conferences and founded the SEIA Women’s Empowerment (WE) Committee among the organization’s membership. The WE Committee is committed to education, to the advancement of careers for women in the solar industry, to mentoring future solar leaders, and to establishing opportunities for women. About SEIA®: Celebrating its 43rd anniversary in 2017, the Solar Energy Industries Association® is the national trade association of the U.S. solar energy industry, which now employs more than 260,000 Americans. Through advocacy and education, SEIA® is building a strong solar industry to power America. SEIA works with its 1,000 member companies to build jobs and diversity, champion the use of cost-competitive solar in America, remove market barriers and educate the public on the benefits of solar energy. 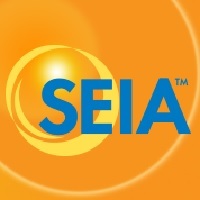 Visit SEIA online at www.seia.org.